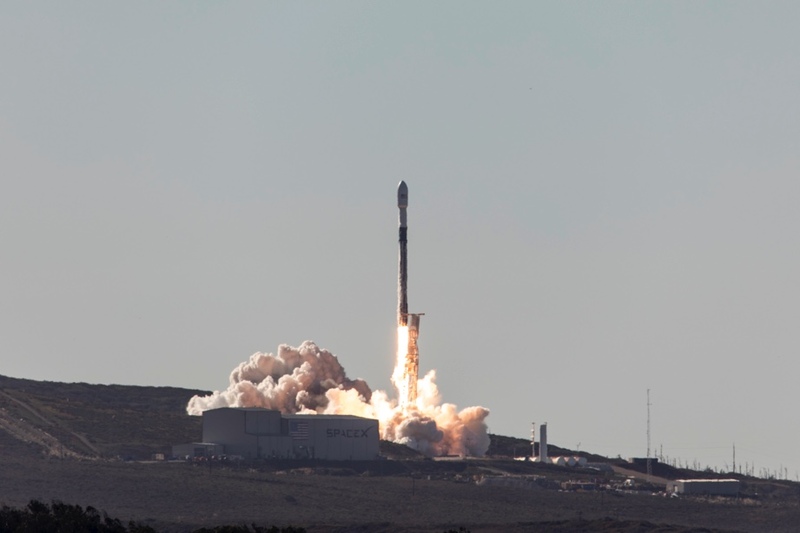 The Falcon 9 rocket lifted off at 10:34:05 a.m. PST (1:34:05 p.m. EST; 1834:05 GMT) Monday from Space Launch Complex 4-East at Vandenberg, on a hillside overlooking the Pacific Ocean between Los Angeles and San Francisco. 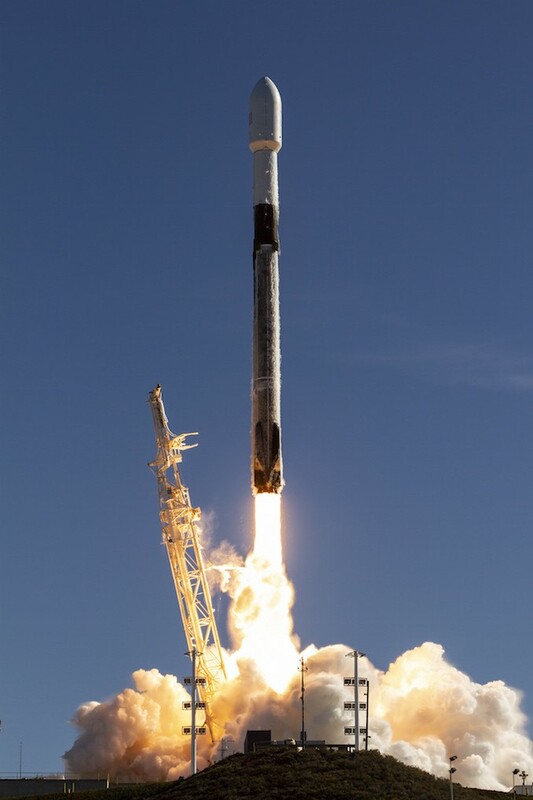 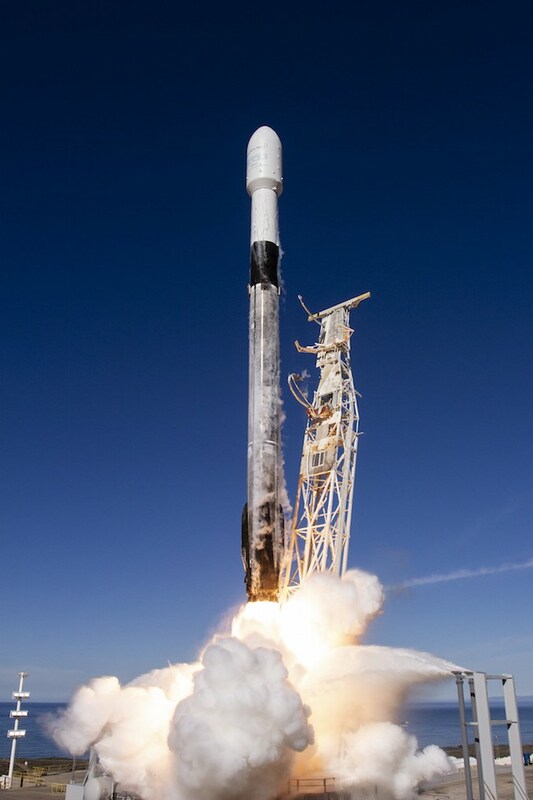 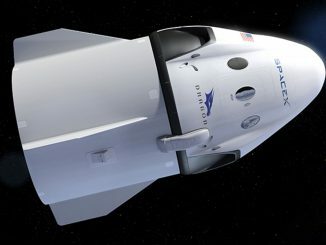 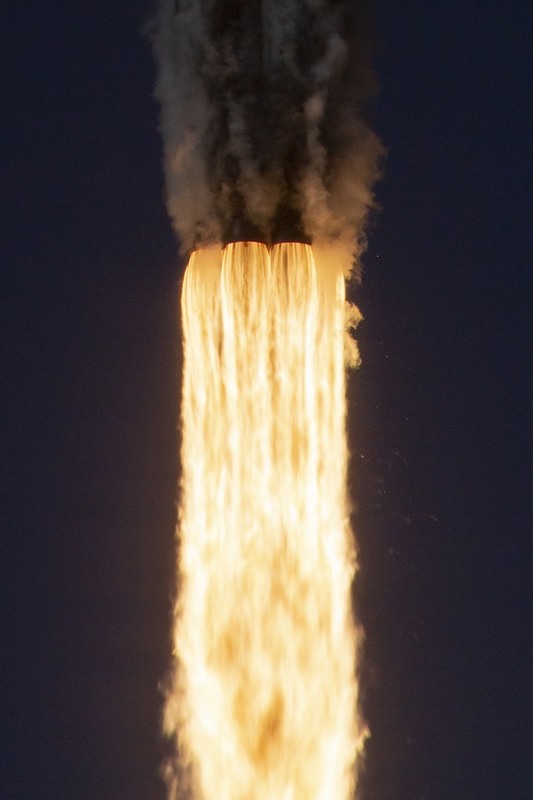 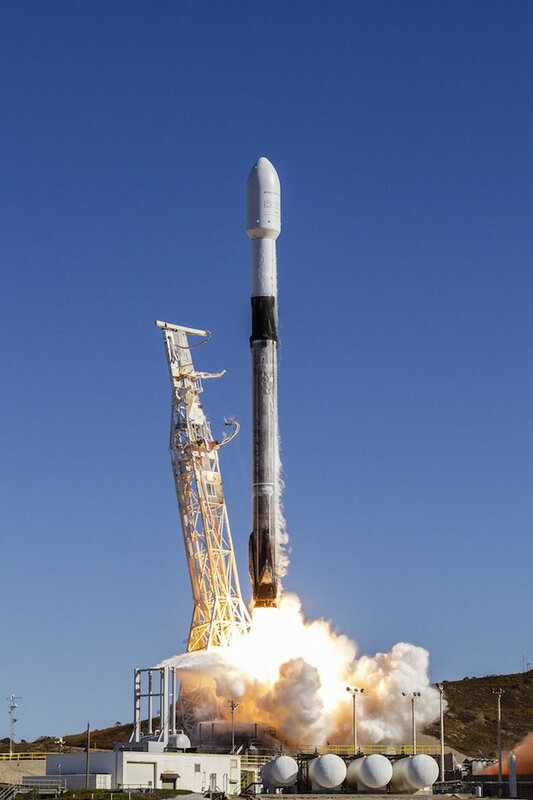 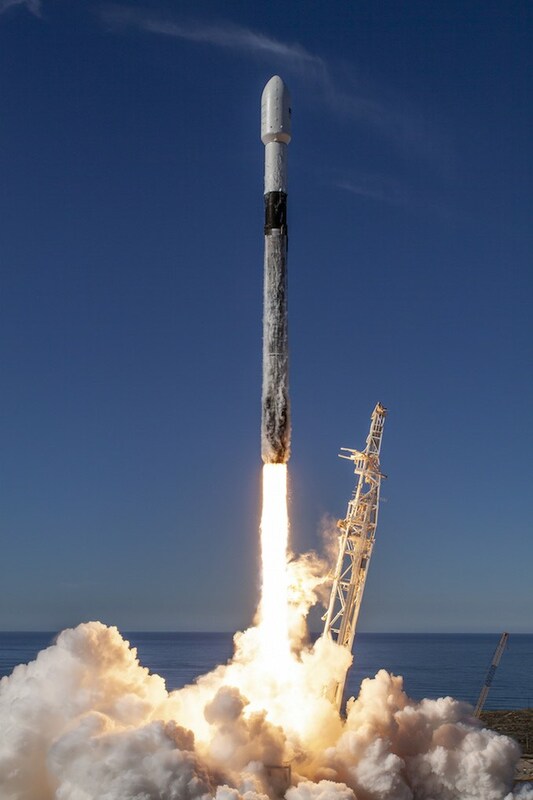 Towering 229 feet (70 meters) tall, the Falcon 9 climbed into a sunny sky atop 1.7 million pounds of thrust, heading south toward a polar orbit on a multi-payload rideshare mission arranged by Spaceflight, a Seattle-based company specializing in booking launch services for CubeSats and other small satellites. 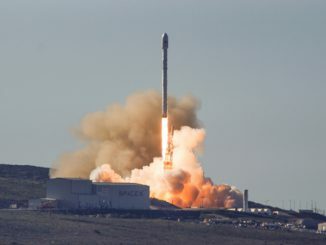 The launch Monday marked the first time SpaceX re-flew a Falcon 9 first stage booster on a third mission, and the first stage returned again to a drone ship stationed around 30 miles (50 kilometers) from the California coast a few minutes after liftoff. 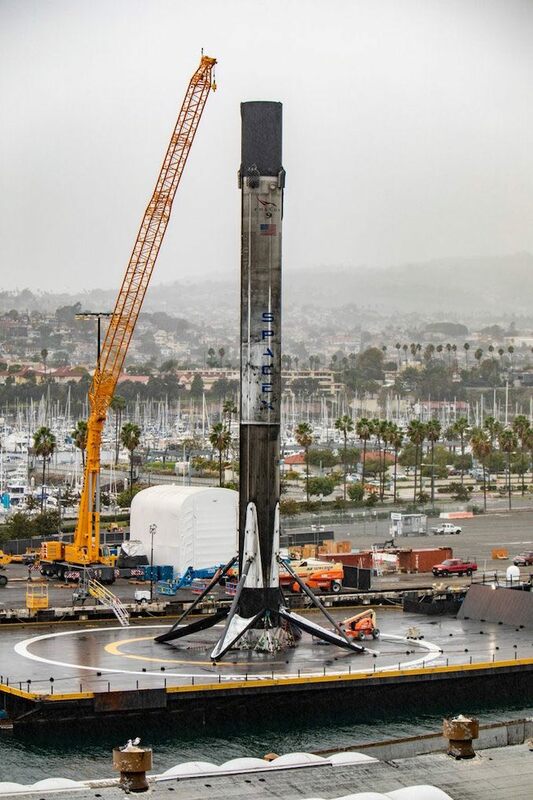 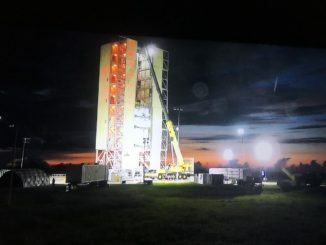 The landing platform returned to the Port of Los Angeles with the rocket standing vertical, for SpaceX to inspect and potentially reuse again. 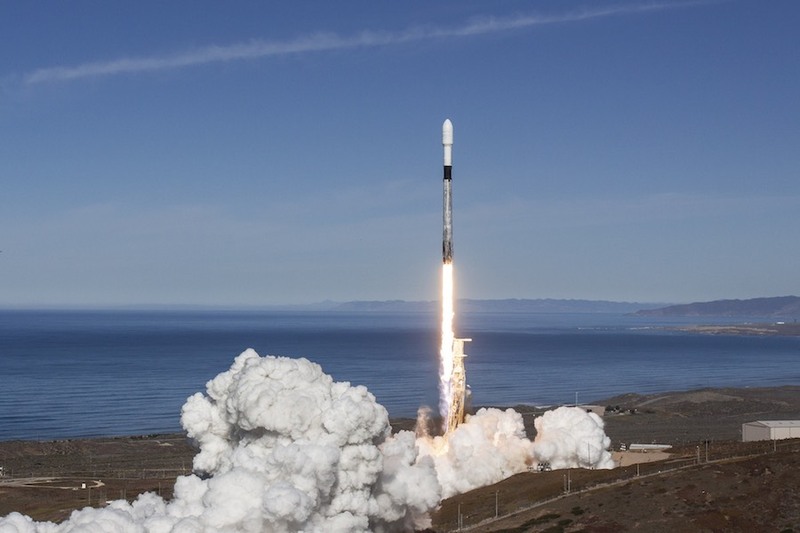 Read our full report on the launch.